500 Clubcard points with a Scooby Doo DVD! More DVD and Blu-Ray pre-order deals ….. starting at £5! If you’re a Scooby Doo or Smurfs fan, the latest Tesco Direct promotion for pre-ordering DVD or Blu-Rays before their release has something for you! As with previous deals, you receive 150 Clubcard points as a bonus for every DVD you pre-order and 200 points per Blu-Ray. What is attractive about this version of the deal is that the disks start at just £5 for DVD’s. 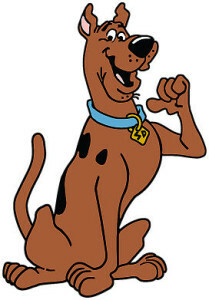 That is for Scooby Doo: Stage Fright. You have until September 15th to order. Perhaps you should stock up on Scooby Doo for any children in your family?! The list of participating titles is here.